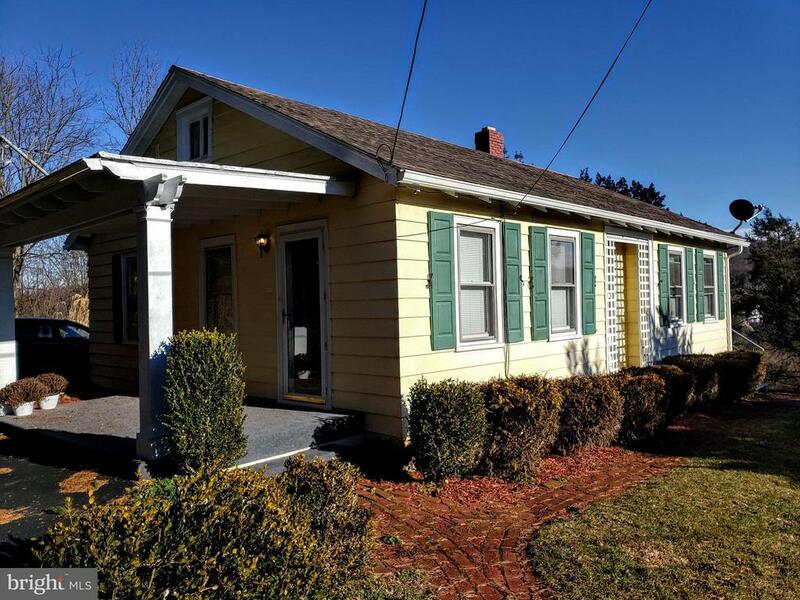 Charming 3 bedroom 1 bath rancher overlooking the historical town of Glen Rock. This home has been updated and features stained original hardwood floors throughout, fresh paint, new countertops and backsplash, all appliances convey. 2nd floor loft is ideal bedroom or playroom. Relax in the evening or enjoy morning coffee on your large deck overlooking your private backyard while experiencing the beauty of nature. Enjoy all this quaint small town has to offer from restaurants and shops along Historical Main St. to easy access to 83 for the Maryland commuters. Come see for yourself, you wont be disappointed! © 2019 BRIGHT, All Rights Reserved. Information deemed reliable but not guaranteed. The data relating to real estate for sale on this website appears in part through the BRIGHT Internet Data Exchange program, a voluntary cooperative exchange of property listing data between licensed real estate brokerage firms in which Keystone Realty participates, and is provided by BRIGHT through a licensing agreement. Real estate listings held by brokerage firms other than Keystone Realty are marked with the IDX logo and detailed information about each listing includes the name of the listing broker. The information provided by this website is for the personal, non-commercial use of consumers and may not be used for any purpose other than to identify prospective properties consumers may be interested in purchasing. Some properties which appear for sale on this website may no longer be available because they are under contract, have Closed or are no longer being offered for sale. Some real estate firms do not participate in IDX and their listings do not appear on this website. Some properties listed with participating firms do not appear on this website at the request of the seller. Data last updated on 2018-05-30.